MCLGA Team 2018 Louise Fraser, Karen Ferguson-Snedden, Wendy Nicholson, Kate McIntosh, Caroline Steedman, Carys Irvine, Alison McBride, Rachael Livingstone. What an amazing three days of competition. 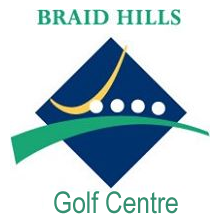 We suffered a couple of setbacks early on when our two plus handicap players, Hannah Darling and Gabrielle MacDonald became unavailable due to the World Junior Team competition in Canada and family commitments respectively. Unfortunately on the eve of the competition, Karen Marshall had to return home so Wendy Nicholson stepped up from reserve and we were ready to go. The conditions were already extremely poor after a week of rain – very wet and slippy underfoot. The rain continued making players, caddies and officials very cautious. There were a few falls with Karen Ferguson-Snedden being our main casualty, slipping and damaging a calf muscle on morning one against Renfrewshire. Thankfully, supported by playing partner Alison McBride, she managed to complete a winning round albeit very slowly and gingerly helping us take a 2.5 – 0.5 lead. The afternoon proved to be a very different kettle of fish. The Renfrewshire players were determined not to lose on home turf. With Eilidh Briggs managing to leave work early they were back to full strength. We lost 3.5 – 5.5 and were a pretty disappointed bunch. On Saturday we met Aberdeenshire who came out fighting to take the morning foursomes 2.5 – 0.5. 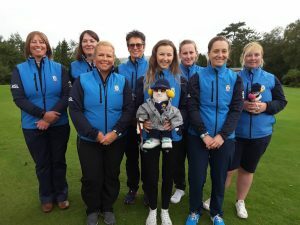 Aberdeen had a formidible team including Shannon McWilliam (+4), Jasmine Mackintosh & Kimberly Beveridge (both +1) and Sheena Wood a Senior Internationalist. Nothing daunted, the Midlothian players didn’t lose a match! Particular thanks to Karen Ferguson-Snedden who won 6/5 after being asked to be a scarificial lamb due to her injured leg. The Captain is now reconsidering her pre match chat! The third day proved to be a cliff hanger with a win possible for three Counties – Renfrewshire, Abedeenshire and Midlothian. When Renfrewshire were beaten 3 -0 in the morning and we halved with Dumfriesshire all permutations for a win were considered. I hoped for a 4 – 2 win in the singles for Renfrewshire which would give Aberdeenshire the two points with the smallest margin. We needed to win 4.5 points. The girls worked hard but were half a point short. All in vain – Aberdeenshire halved their afternoon matches to take a 6 – 3 lead and the trophy. It could hardly have been closer with only one point separating the first three teams. The Midlothian players were fantastic – often competing against players with lower handicaps and more experience – winning, halving and making opponents fight for every point. A special mention for Carys Irvine who was making her debut for the County team and won 3.5 points. Well done! Thanks to all who caddied. As always, you were brilliant – easing the burden, keeping spirits up and generally being an essential part of the MCLGA team. My thanks to Louise Fraser (Vice Captain) and Linda Wemyss (Selector) for their opinions, support and decision making. A great team! All players must be commended for the determination and positive attitude they took into every game. Their skills are always obvious but their team work and support for each other made them a team to be reckoned with this year. A big thank you from me. You left nothing on the course!